The inaugural logo for Trib HüVan : 3rd Circle visions. – The Art of Affecting Consciousness. The inaugural logo for Trib HüVan : 3rd Circle visions. The words of Trib HüVan. 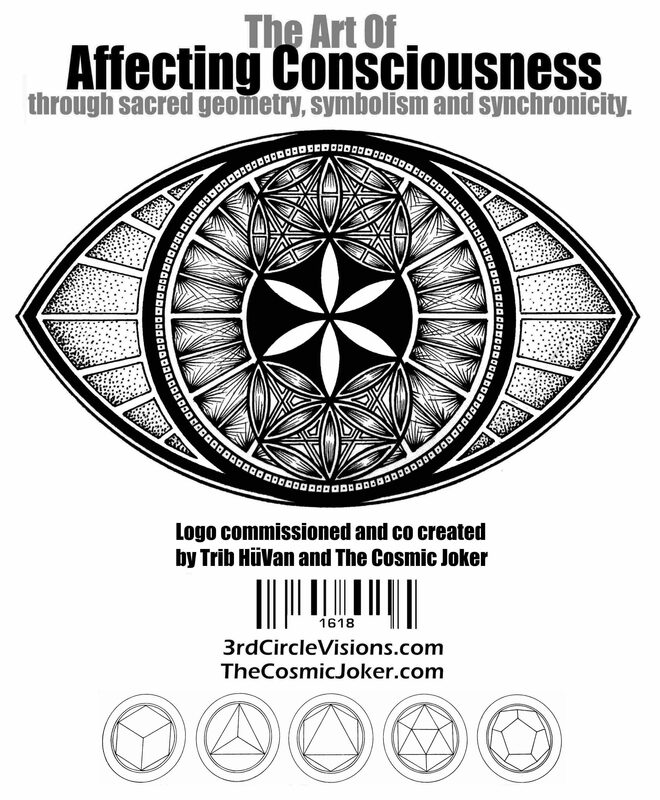 🙂 …..
Today Im very excited to reveal our inaugural logo for Trib HüVan : 3rd Circle visions, created by the very talented visionary artist ~ The Cosmic Joker (www.thecosmicjoker.com). “This logo is a very personal representation of my journey and contains deep esoteric symbology to reflect this voyage. Using a wide array of occult wisdom, The Cosmic Joker has incorporated the use of the Golden Ratio (Phi), Astrology, Sacred Geometry, Yogic and Buddhist wisdom teachings as well as incorporating influences from Indigenous and Aboriginal cultures from around the world”.